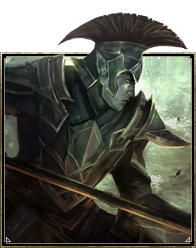 The racial skills of the Dark Elves reflect their intellect and natural agility, giving them bonuses in stamina, magicka, dual wielding, fire magic, fire resistance, lava resistance, and elemental damage, including frost, flame, and shock damage. Ashlander 1 ​ Increases your experience gain with the Dual Wield skill line by 15%. Reduces your damage taken from environmental lava by 50%. Dynamic 5 Increases your Max Magicka and Max Stamina by 500. 15 Increases your Max Magicka and Max Stamina by 1000. 30 Increases your Max Magicka and Max Stamina by 1875. Resist Flame 10 Increases your Flame Resistance by 660. Gain immunity to the Burning status effect. 20 Increases your Flame Resistance by 1320. Gain immunity to the Burning status effect. 40 Increases your Flame Resistance by 2310. Gain immunity to the Burning status effect. Ruination 25 Increases your Weapon and Spell Damage by 86. 35 Increases your Weapon and Spell Damage by 127. 50 Increases your Weapon and Spell Damage by 258. This page was last modified on 2 March 2019, at 17:01.